Rogz Anchovy Stainless Steel Cat Bowl Pink. Finally, a whisker-friendly bowl for your cat. 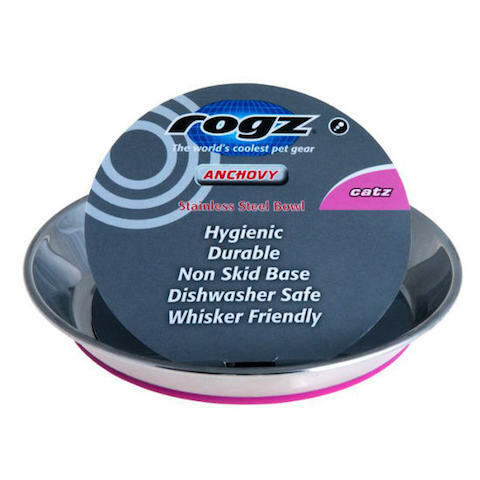 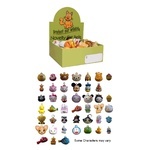 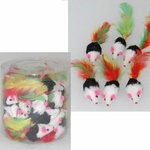 Rogz 'Catz Bowlz' are a durable and easy to clean solution to feeding time. 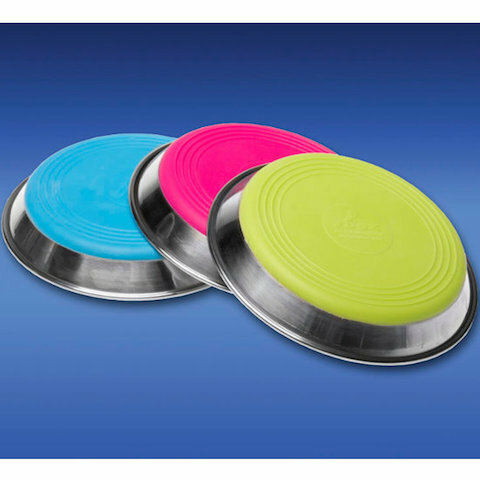 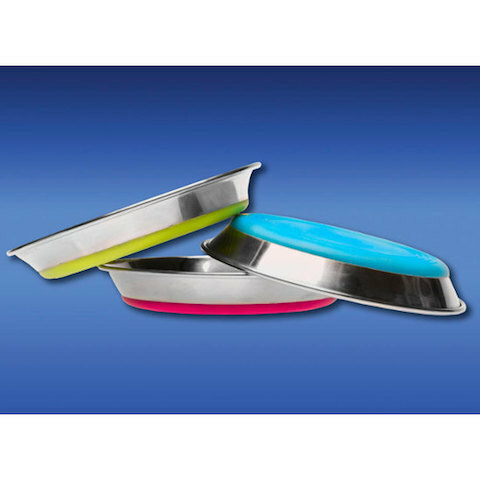 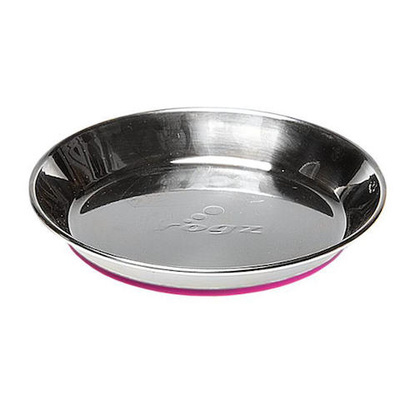 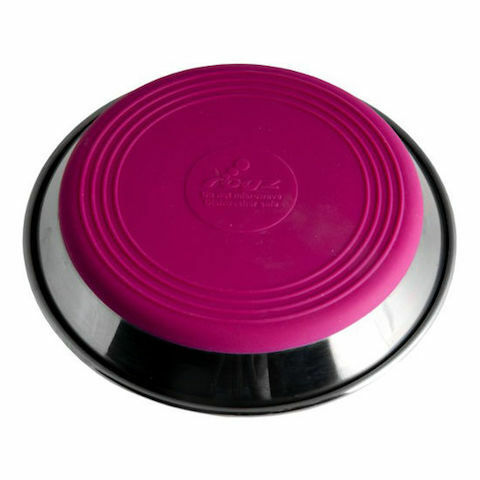 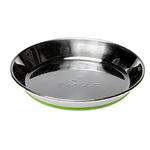 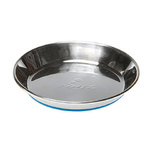 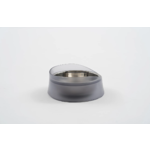 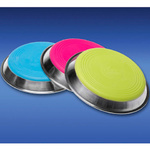 Made from hygienic stainless steel, the bowl is dishwasher safe and has a non-slip base. 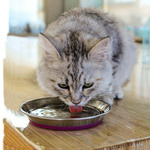 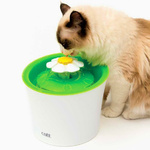 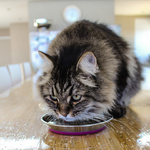 The silicone base stops the bowl from sliding around the room when your cat is trying to eat. 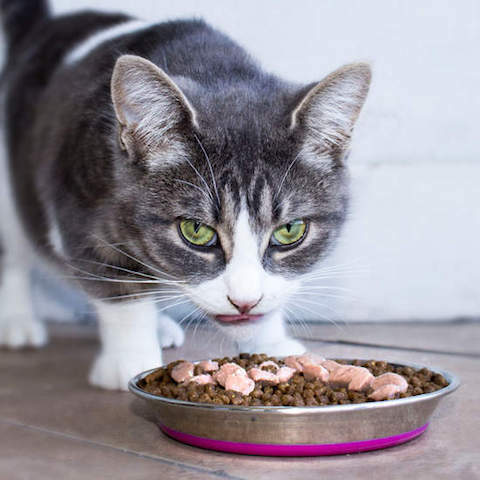 Looking chic in pink, it also adds a splash of colour to your cat's collection. 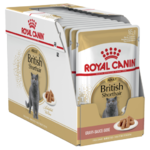 Because the sides of the Anchovy bowl tilt outwards, your cat won't continually bump their whiskers on the edges when they go to eat.